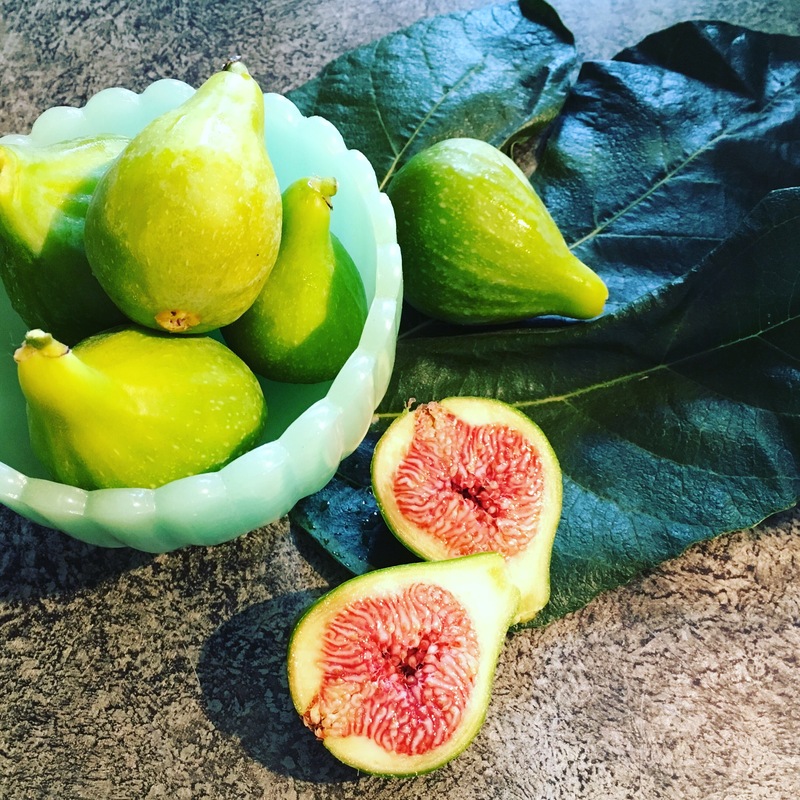 We were given these beyond gorgeous plump fig as a host gift from guests that have a large tree in their yard. They really could not have been more perfect. We served them with drinks and they were a major hit. 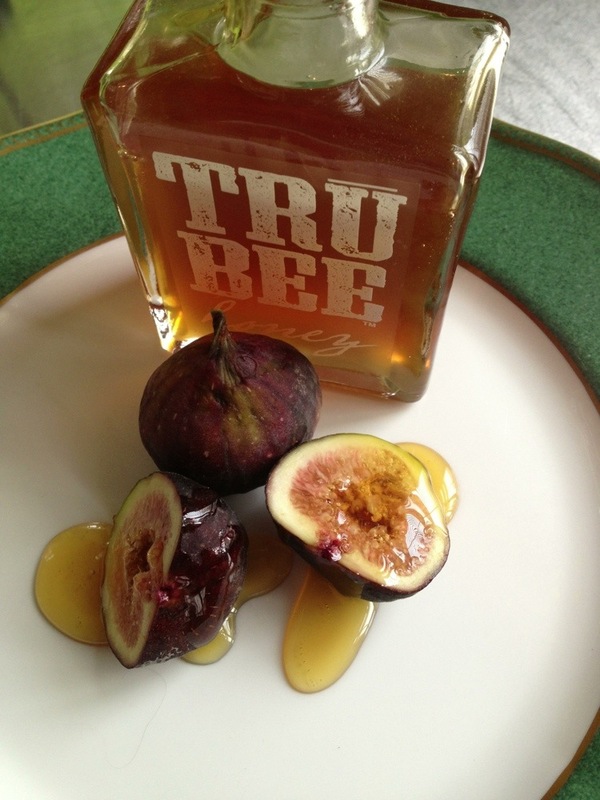 For this Wine & Dine Wednesday if you have access to figs, think of serving them with chesse. 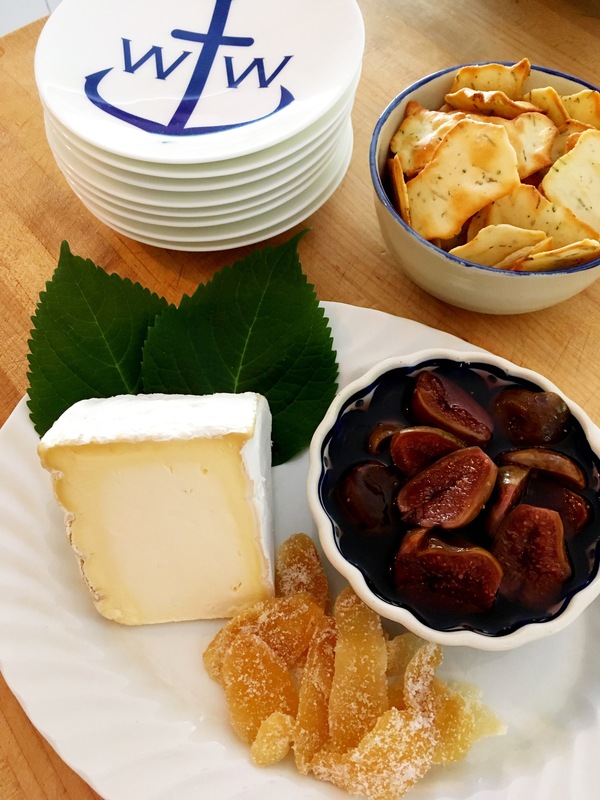 Like Brie and Camembert, left out at room temp for a few hours so the center becomes nice and soft and easily spreadable on the delicate fig. Chèvre is also a tasty option. 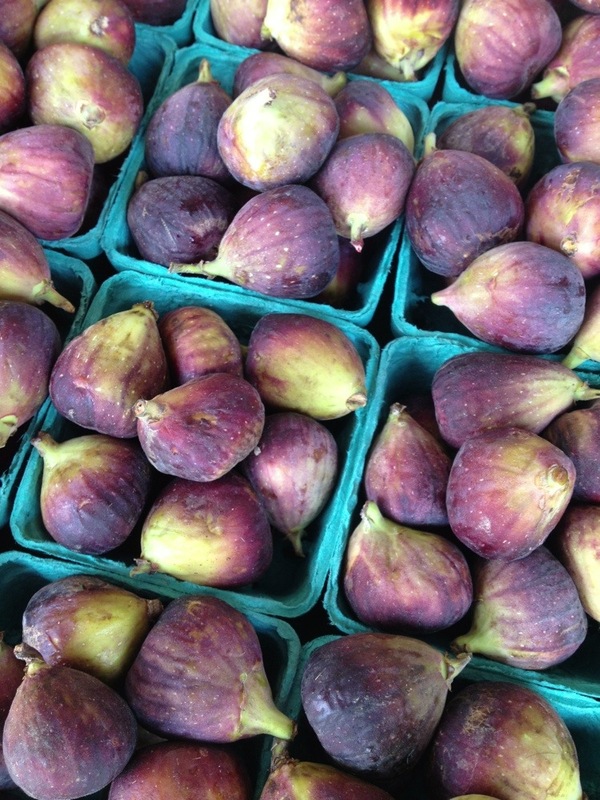 The tang from the cheese with the unmistakable flavor of the fig is really quite something. A winning combo really any time of day. Saint-André is a French triple crème cow’s milk cheese, and is our ‘go to’ cheese if we are only serving one option. It is best left out for several hours before serving, as it softens beautifully and taking the chill off of it really opens up all the complex flavors. We often serve it with pieces of candied ginger as the combo is quite something. 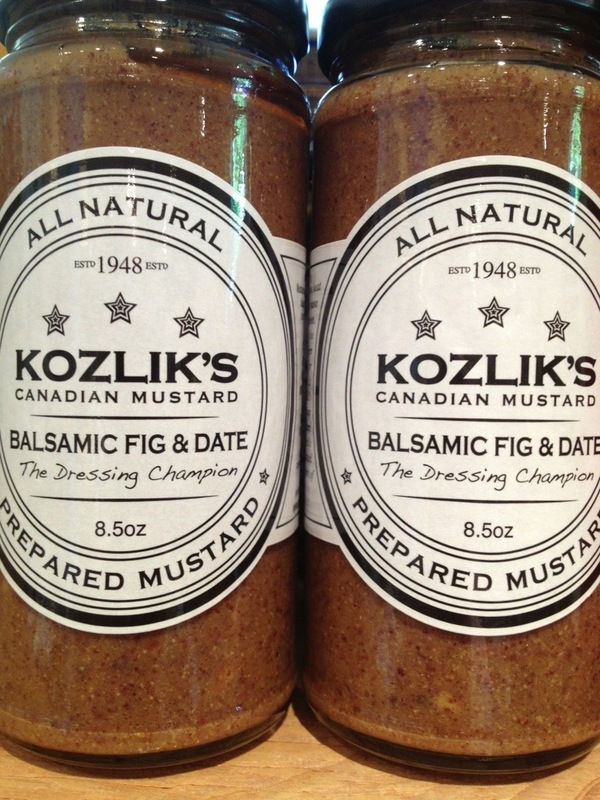 Recently we started stocking pickled figs at the shop and they are also a winning combo. Slices of baguette or a really good cracker are what we set out as the transporter for all that goodness. Oh my gosh, just typing that title took me back to the late 80’s. I baked quite a few Brie back then, and have not really baked any since. Until this week. I have become obsessed with pastry dough that you buy in the freezer section at the grocery store. It is the easiest darn thing to work with, and whatever I make with it is the first thing to get gobbled up when we have it set out with other things. It has been a busy entertaining week, and so is next week, so I will whip up a few more of what is pictured above. Here is my new favorite. This really is more about assembling than cooking, which always rates high in my book. Turn oven to 350 degrees to pre-heat while you assemble this. You will want to use one of the two pastry sheets that come in most of these puff pastry packages. I am a big fan of the Pepperidge Farm brand, which is what I typically find at our grocer. Any brand is fine. Follow the instructions on the box for thawing. The sheets are folded into thirds. Unfold and cut one third off, and set aside. Using a full small Brie, cover the entire top of the cheese in fig jam. Moving carefully & quickly, flip it over onto the waiting pastry sheet, so the jammed top is now on the bottom. 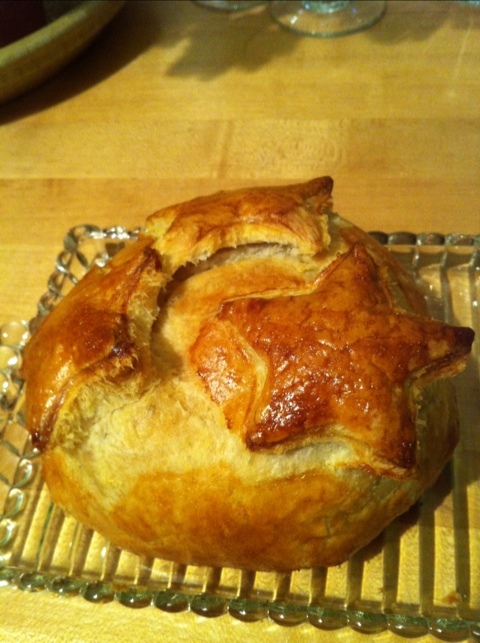 Take the pastry and fold all of the sides up and over the Brie, encasing the entire concoction. Now flip that entire thing over onto a baking sheet. If it is parchment lined, all the better, but not necessary. Now with that remaining third of a sheet of dough, press out a few decorative images with a cookie cutter or if you are really creative, just use a sharp knife and make something fun. We had a star cookie cutter, which seemed a little Holiday to me, so I used that. Add those to the top. Almost there. Now take an egg and crack it into a bowl and add a splash of water to make an egg wash. Beat together. Brush the egg mixture over the entire top and sides of the pastry, as this will really help it to brown. That is it. Bake for 20 to 30 minutes, or until puffy and golden brown. Let sit for a bit before serving, so the cheese is not too hot. It really is best warm, but room temp is fine, as well. It is that easy. 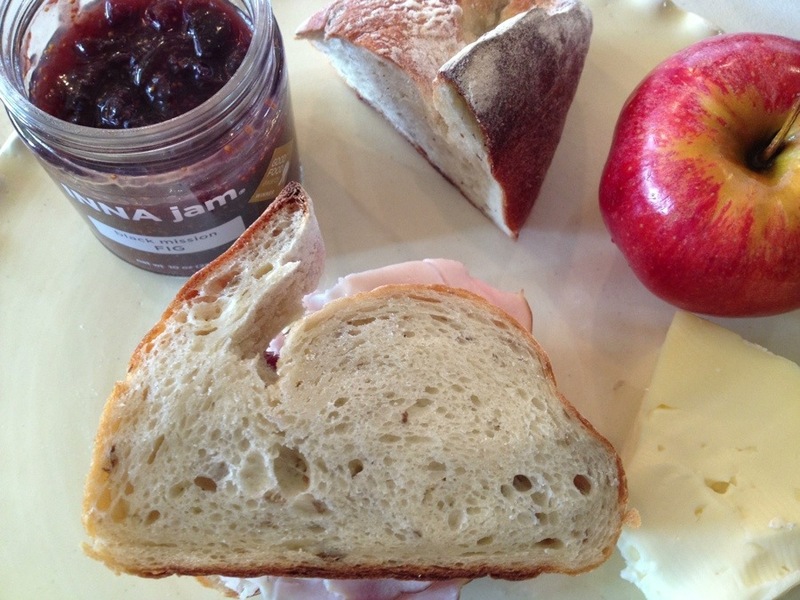 If you prefer another jam, then go for it. The fig jam just has that earthiness I like. Enjoy, enjoy!